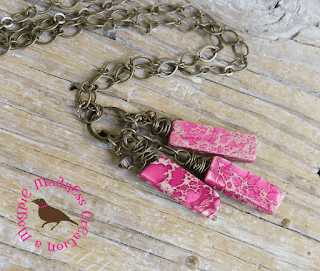 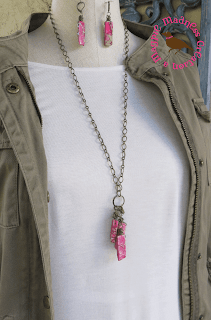 These are fantastic extra long rectangles I hand wired into drop earrings. 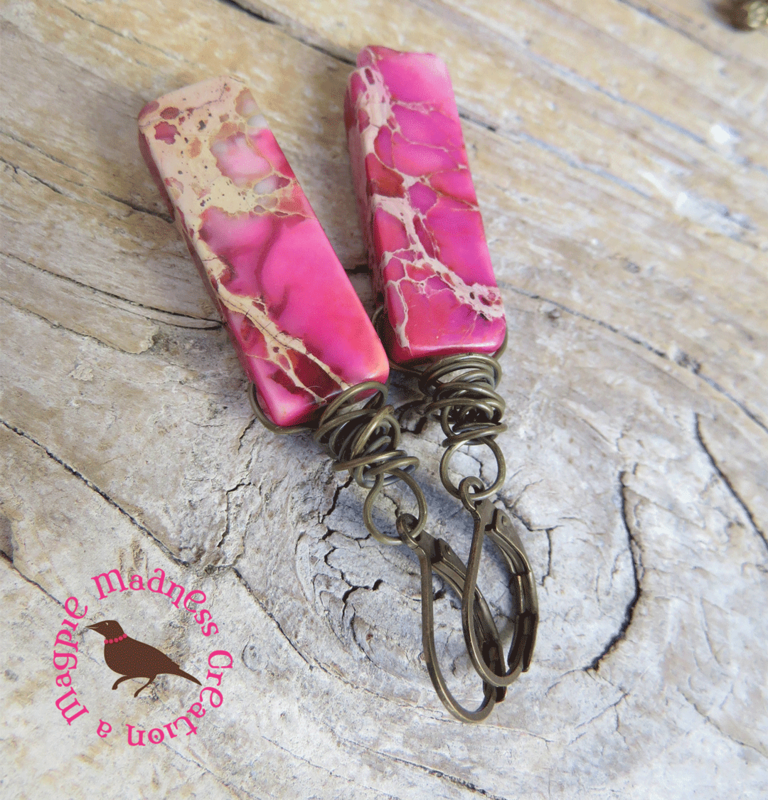 These glorious hot pink Imperial Jasper beads are stunning. I wired several more rectangles into a cluster pendant necklace with a 30 inches antiqued brass chain. Glorious.